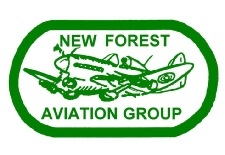 FONFA is a charity established by aviation enthusiasts, veterans, authors and historians in the New Forest. FONFA’s Heritage Centre is in a former RAF Sopley building. 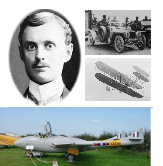 East Boldre This book tells the story of the pioneering flights from 1910 to 1920. Ballast Water Management by Robin Fearnley of BMT. 19:30 Refreshments from 19:00. Access via Quarry Road Free parking on campus from 17:00, Lecture Theatre 2.3, Building 5 West, University of Bath, BA2 7AY. 'The Gloster Meteor Development' by Rod Dean. Rod is returning to give another of his spectacular talks. This time he will be presenting the history of the Gloster Meteor development during the Second World War. It will be a detailed look surrounding the development of the early jet engines and aircraft that led to the Gloster Meteor to become our first operational jet fighter in 1944. Rod will explain as to how the Meteor was developed throughout its service career, with what would now be considered unusual features for a jet fighter, then cover the different variations of this wonderful aircraft as it carried on for another two decades. His talk will also cover the use of the Gloster Meteor for a wide variety of experimental activities after it's front line use ended. Rod will finish by giving a review of the surviving flying Meteors which are still around today - over 75 years after its first flight. All welcome. 19:00 for 19:30 start. Chichester Park Hotel, behind Sainsbury's on the Chichester By-pass. Entrance fee to each meeting members ｣3/non-members ｣5. Contact David Batcock on 01243-823007 or email infoATairaces.org.uk. Cody Lecture, 'The 5M Wind Tunnel - past, present and future.' Ian Smith QinetiQ, David Mowbray and David Woodard (retd). Contact Ian Pigram email pigramikATbp.com or Dr Mike Philpot 01252 614618. 'Combat Aircraft in Wiltshire' - Dave Berryman. Monthly presentations 18:30 for 19:00. Entrance Members free and Non-members £5 (includes access to the collection). Venue BDAC conference room Hangar 1 South, Old Sarum Airfield, Old Sarum, Salisbury, Wiltshire, SP4 6DZ. Tel: 01722 323636. AGM followed by lecture 窶廣 day in the life of a cold war Sea Vixen Pilot窶 by Kim Sharman. 7pm for prompt lecture start at 7:30pm. Barnes Lecture Theatre. Bournemouth University Poole House, Fern Barrow, Poole, Dorset BH12 5BB. - This event may be used for anyone pursuing professional recognition, or further development, as evidence for your -CPD -records and we can provide a Certificate of Attendance. Contact Roger Starling e-mail rogerstarling593ATbtinternet.com or rogerstarlingATme.com tel 01929 553822. May Day classic car show at Popham Airfield near Andover and Winchester. 10 AM - 5 PM. Coxford Down, SO21 3BD Winchester, Hampshire.